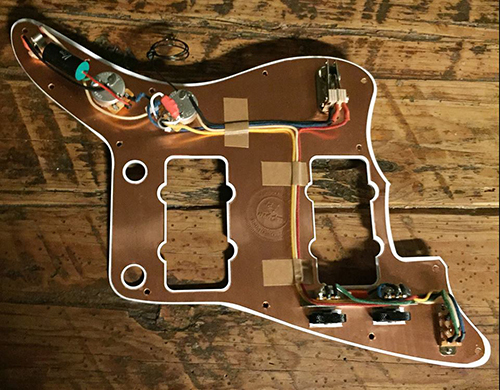 We offer a wide variety of standard, customized and hot-rodded "drop-in" assemblies for Jazzmasters, Strats, Teles, PRS, Gibson, and P & J Basses, optionally pre-loaded with the pickups of your choice. 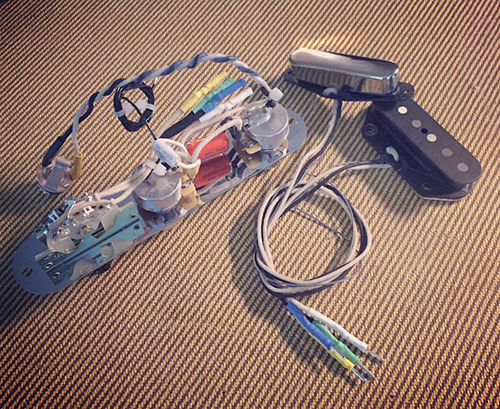 These are simply the finest pre-wired harnesses you can buy. These are intended for the serious player who is serious about tone. What Makes Our the Best? 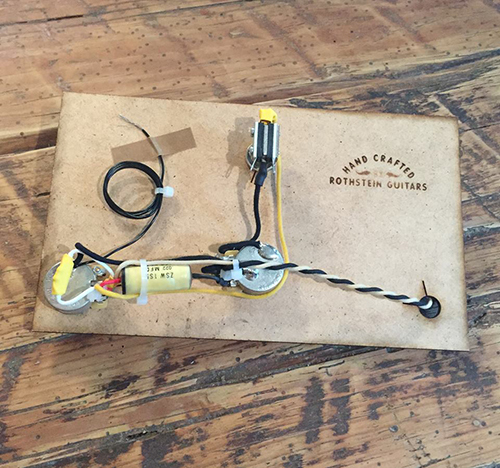 Configurations - We have more inventive wiring configurations than our competitors. Copper - Each of our assemblies comes with our signature noise-canceling copper shield. 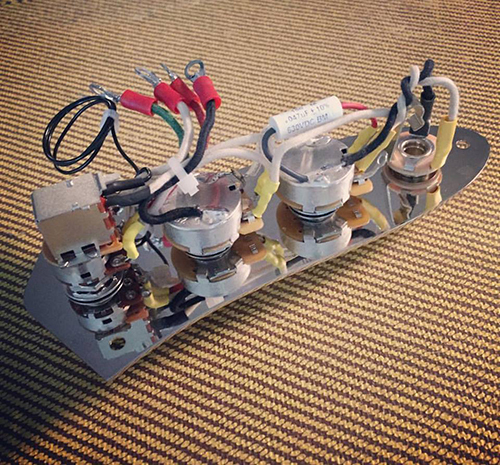 Custom - Your assembly is custom built to your specs based on the options you select, ranging from wiring configuration to color to capacitor selection. Read about our capacitor choices here. Quality - We pride ourselves on quality workmanship and using the best components. Vintage Correct - We use vintage style cloth wire in ALL 6 colors used by Fender. 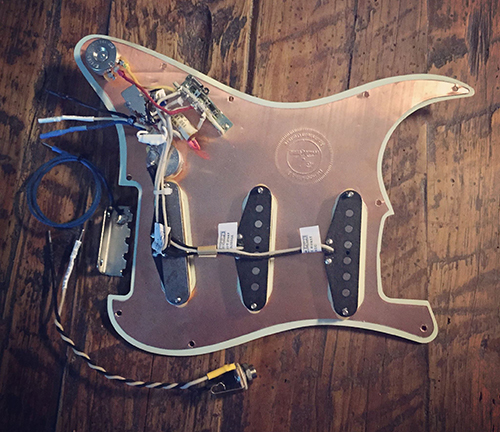 Drop-In - Ours assemblies are simple to install - just ground your bridge, and screw in the pickguard! Road Tested and Bullet Proof - We take many steps to ensure reliability. ALL sensitive connections are insulated with heat shrink tubing, and any wires that might be subject to stress are reinforced with ties. In addition, all components are treated with Caig DeOxit for long trouble free operation.